The feel-good movie of the year.It may be, cinematically, a no risk, straightforward telling of a story, but WHAT a story. 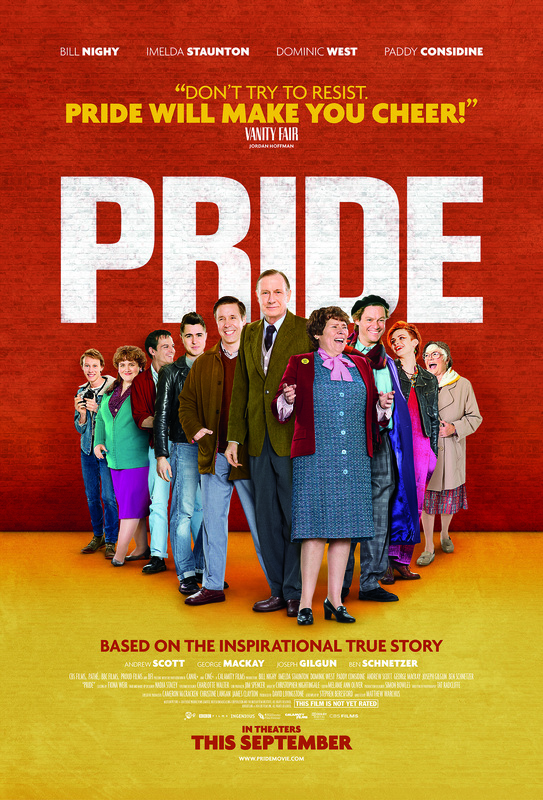 Pride will make you laugh, cry, cheer, boo – talk about playing with the heartstrings. And for anyone that may be worried, this is NOT a gay film! It’s a film about human rights, people pulling together in the time of crisis and highlights events that changed history – gay rights, the miner’s strike, AIDS, acceptance (with a smattering of hatred) et al.